. K.Q. Yan, S.C. Wang, Y.P. Tung, S.S. Wang, “A Network Stability Monitoring Mechanism of Cluster-oriented Wireless Sensor Network,” in Communication of the IIMA, Vol. 7, Issue 4, 2007, pp. 17-28.
.	S.C. Wang, C.F. Cheng, and T. Liang, “Zone-Oriented Byzantine Agreement on Zone-Based Wireless Ad-Hoc Network,” in Lecture Notes in Computer Science, September 9, 2006, pp. 853-862. [SCI, EI].
.	K.Q. Yan and S.C. Wang “Balanced Scorecard Visited Taiwan Firms,” in Academy of Strategic Management Journal, Vol. 1, December 2004, pp. 93-114.
.	K.Q. Yan and S.C. Wang “Improving Business Efficacy with Revised Graph-based Mining Association Rules,” in Journal of Applied Science, 4(3), 2004, pp. 344-353.
.	K.Q. Yan and S.C. Wang “Identifying the Common and Critical Parts for MTO Products Using a Data Mining Approach,” in Information Technology Journal, 3(2), 2004, pp. 150-162.
.	K.Q. Yan and S.C. Wang, “Detecting the Faulty Communication Links under the Loose Coupled Distributed System,” in Journal of Information and Technology, 3(3), 2004, pp. 275-282.
.	K.Q. Yan, S.C. Wang and C.H. Wei, “Personalized Advertising Recommend Mechanism for the Mobile User,” in Journal of Applied Science, 4(1), 2004, pp. 118-125.
.	S.C. Wang and K.Q. Yan, “Generalized Agreement Underlying a Multicasting Environment,” in Pakistan Journal of Applied Sciences, Vol. 3, No. 7, July 2003, pp. 493-509.
.	S.C. Wang, K.Q. Yan and C.F. Cheng, “Byzantine Agreement under Unreliable Multicasting Network,” in Pakistan Journal of Information and Technology, Vol. 2, No. 2, April-June, 2003, pp. 104-115.
.	S.C. Wang and K.Q. Yan, “A New Territory of Developing Dynamic Marketing Strategy,” in Academy of Strategic Management Journal, Vol. 1, December 2002, pp. 79-92.
.	王淑卿、王順生*、嚴國慶*、邱怡瑄、黃學馴，“以兩階段資料處理法改善大數據中不活躍使用者資料不可用的問題，” in International Journal of Advanced Information Technologies (IJAIT), Vol. 10, No. 2, Dec. 2016, pp. 23-32.
.	王淑卿、王順生*、張智明、盧可茵，“以情境感知與資訊回饋機制提昇物聯網中電子商務的服務品質，” in International Journal of Advanced Information Technologies (IJAIT), Vol. 10, No. 2, Dec 2016, pp. 44-51.
.	嚴國慶、王淑卿*、彭金山、王順生*，“以整合式職能評價e化系統模型之建構提昇企業人力資源管理的效能，” in International Journal of Advanced Information Technologies (IJAIT), Vol. 10, No. 1, June 2016, pp. 26-38.
.	王淑卿、何金玲、王順生*、嚴國慶*，“資訊系統共構政策對政府文化網站建構影響之研究—以國立臺灣交響樂團為例，” in International Journal of Advanced Information Technologies (IJAIT), Vol. 10, No. 1, June 2016, pp. 39-50.
.	王順生、王淑卿*、嚴國慶*、莊竣龍，“建構開放原始碼私有雲端平台之雲端服務－以企業內部活動行事曆為例，” in International Journal of Advanced Information Technologies (IJAIT), Vol. 9, No. 2, December 2015, pp. 12-22. 王淑卿、王順生*、嚴國慶*、留旻懋、溫光鴻，“使用服務水準協議建立以服務為導向的OpenStack雲端平台，” in International Journal of Advanced Information Technologies (IJAIT), Vol. 9, No. 2, December 2015, pp. 1-11.
.	嚴國慶、王淑卿*、曾士祈、林泊建，“以P4P為基礎建構具位置知覺和興趣分群的同儕網路，” in International Journal of Advanced Information Technologies (IJAIT), Vol. 9, No. 1, June 2015, pp. 3-12.
.	王淑卿、嚴國慶*、蘇永祥、留旻懋，“OpenStack開放原始碼雲端運算平台服務需求配置之研究，” in International Journal of Advanced Information Technologies (IJAIT), Vol. 9, No. 1, June 2015, pp. 13-22.
.	王順生、王淑卿*、陳慶維、嚴國慶*，“在物聯網環境中以安全水準協議與輕量安全機制提高服務安全性，” in International Journal of Advanced Information Technologies (IJAIT), Vol. 8, No. 2, Dec. 2014, pp. 3-12.
.	王淑卿、王順生*、張智明、王信傑，“透過以服務為導向的物聯網提升系統服務效能---以防災監測應用為例，” in International Journal of Advanced Information Technologies (IJAIT), Vol. 8, No. 2, Dec. 2014, pp. 13-21.
.	S.C. Wang, K.Q. Yan*, C.L. Ho, S.S. Wang*, “An Optimal Agreement in a Cluster-based Wireless Sensor Network with Malicious Faulty Nodes,” in International Journal of Advanced Information Technologies (IJAIT), Vol. 8, No. 1, June 2014, pp. 1-11.
.	王淑卿、王順生*、陳慶維、嚴國慶*，“以三階段排程機制提昇雲端運算之服務品質,”in International Journal of Advanced Information Technologies (IJAIT), Vol. 8, No. 1, June 2014, pp. 12-22.
.	王淑卿、王順生*、陳慶維、王信傑，“建構以服務為導向的防災監測物聯網,” in International Journal of Advanced Information Technologies (IJAIT), Vol. 7, No. 2, Dec 2013, pp. 51-62.
.	王淑卿、王順生*、嚴國慶*、陳柏煒，“以混和式資料重複刪除機制提昇雲端儲存環境的服務品質,” in International Journal of Advanced Information Technologies (IJAIT), Vol. 7, No. 1, June 2013, pp. 19-31.
.	王淑卿、王順生*、陳慶維、嚴國慶*，“以三階段排程機制提昇雲端運算之服務品質,” in International Journal of Advanced Information Technologies (IJAIT), Vol. 7, No .1, June 2013, pp. 32-42.
.	王順生、王淑卿*、嚴國慶、陳聖中，“以利用原子衰退值動態調整文件備份的個數以提升雲端運算環境中檔案複製的效能,” in International Journal of Advanced Information Technologies (IJAIT), Vol. 6, No .2, Dec. 2012, pp. 207-214.
.	王淑卿、廖文賓、王順生*、嚴國慶*、林雨農，“整合商業模式層級及訂閱機制提昇雲端市集之服務品質,”in International Journal of Advanced Information Technologies (IJAIT), Vol. 5, No .2, Dec. 2011, pp. 246-255.
.	S.S. Wang, M.L. Chiang*, K.Q. Yan*, S.C. Wang*, S.H. Tsai, “The New Territory of Group Key Authentication in an Insecure Cloud Computing Environment,” in International Journal of Advanced Information Technologies (IJAIT), Vol. 5, No .2, Dec. 2011, pp. 288-249.
.	S.C. Wang, W.P. Liao, K.Q. Yan*, S.S. Wang*, C.W. Chen, “The Study of Load Balance Enhancement in a Hierarchical Cloud Computing Environment,” in International Journal of Advanced Information Technologies (IJAIT), Vol. 5, No .2, Dec. 2011, pp. 295-303.
.	S. C. Wang, S.S. Wang, K. Q. Yan*, and C.P. Huang, “The Anatomy Study of Fallible Processes Agreement for Cloud Computing,” in International Journal of Advanced Information Technologies (IJAIT), Vol.4, No .2, Dec. 2010, pp. 160-180.
.	王淑卿, 嚴國慶, 王順生, 王朝宏, “利用頻道分配機制與碰撞排除方法提昇WiMax之頻寬使用率,” in CY Journal, Vol. 15, Sep. 2010, pp. 343-372.
.	S. C. Wang, S.S. Wang, K. Q. Yan*, and C.P. Huang, “New Territory of Consensus underlying Dual Fallible Cloud Computing Environment,” in Journal of Innovation and Management, Vol. 7, No. 2, May 2010, pp. 1-18.
.	S. C. Wang, S.S. Wang, K. Q. Yan, and C.P. Huang, “The Consensus Problem with Fallible Communication in Cloud Computing Environment,” in International Journal of Advanced Information Technologies (IJAIT), Vol.3, No .2, Dec. 2009, pp. 135-152.
.	王淑卿, 嚴國慶, 王順生, 董育萍, “以負載平衡為基礎的階層式無線感測網路分群機制,” in CY Journal, Vol. 14, Aug. 2009, pp. 167-192.
.	嚴國慶, 王淑卿, 王順生, 陳秀芳, “在階層式點對點網路拓樸下以負載平衡為導向之排程機制,” in CY Journal, Vol. 14, Aug. 2009, pp.297-320.
.	王淑卿,王順生,嚴國慶, 劉佳瑋, “叢集式無線感測網路下混合式入侵偵測之研究,”朝陽商管評論,第8卷，第2期, June 2009, pp. 137-150.
.	S.C. Wang, S.S. Wang, and K.Q. Yan, “Optimal Agreement in a Generalized Scale Free Network,”in CY Journal, Vol. 13, Sep. 2008, pp. 519-544.
.	K.Q. Yan, S.S. Wang, S.C. Wang, and T.S. Chen, “The Anatomy Study of Resource Management in Grid Computing,”in CY Journal, Vol. 13, Sep. 2008, pp. 87-106.
.	嚴國慶,王淑卿, 陳秀芳,王順生, “以兩階段排程演算法提昇動態階層式點對點網路拓樸之負載平衡,”International Journal of Advanced Information Technologies (IJAIT), Vol. 1, June. 2008, pp. 30-46.
.	王淑卿, 蕭正三, 嚴國慶,王順生,”以動態調整穩定路徑繞徑協定改善動態無線感測網路之穩定性,”International Journal of Advanced Information Technologies (IJAIT), Vol. 1, June. 2008, pp. 47-61.
.	嚴國慶,王順生,王淑卿,王朝宏, “建置以頻道分配機制為基礎的WiMax無線寬頻網路,”朝陽商管評論,第7卷，第2期, April 2008, pp. 27-44.
.	嚴國慶,王淑卿, 董育萍, “無線感測網路中以負載平衡為考量的群組拓撲建置機制,”International Journal of Advanced Information Technologies (IJAIT), Vol. 1, Oct. 2007, pp. 2-20.
.	王淑卿, 潘信宏, 嚴國慶,羅有隆,”隨意式無線網路中階層式穩定分群及管理者選派方法,” International Journal of Advanced Information Technologies (IJAIT),Vol. 1, Oct. 2007, pp. 40-55.
.	S. C. Wang, K. Q. Yan, and G.Y. Zheng, “Byzantine Agreement with Dual Failure Mode for Virtual Subnet of Mobile Ad-hoc Network,”in CY Journal, Vol. 11, Sep. 2007, pp. 375-394.
.	嚴國慶,王淑卿,黃禹翔,”以穩定拓樸修正演算法 提昇隨意式網路拓樸之穩定性,”in CY Journal, Vol. 11, Sep. 2007, pp. 145-172.
.	K.Q. Yan and S.C. Wang, “Smart Ticket Based Mobile Target Advertising,” in CY Journal, Vol. 10, Sep. 2006, pp. 311-338.
.	S.C. Wang and K.Q. Yan, “Enhance the Performance of Hierarchical Cellular-Based Management by Using Mobile Agents,” in CY Journal, Vol. 10, Sep. 2006, pp. 339-358.
.	S.C. Wang, K.Q. Yan, and C.F. Cheng, “Reach High Performance Consensus on a Multicasting Network with Dual Failure Mode,” in CY Journal, Vol. 9, Sep. 2004, pp. 45-58.
.	K.Q. Yan, S.C. Wang, P.H. Lin and C.H. Wei, “Discovery Customer Requirements By Using Three Tiers Text Categorization,” in CY Journal, Vol. 8, Sep. 2003, pp. 183-200.
.	S.C. Wang, K.Q. Yan, C.F. Cheng and H.C. Hsie, “Agreement under Multicasting Environment,” in CY Journal, Vol. 8, Sep. 2003, pp. 1-17.
.	S.C. Wang, K.Q. Yan, C.F. Cheng, and M.L. Chiang, “Consensus Under General Network with Faulty Links,” in CY Journal, Vol. 7, July 2002, pp. 107-120.
.	K.Q. Yan, S.C. Wang, L.Y. Tseng, and C.S. 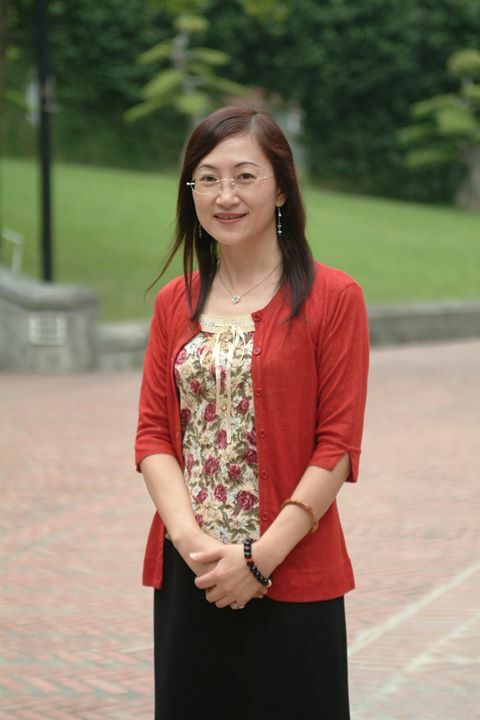 Tsai, “A Study of Integrated Consumer Decision Support System,” in CY Journal, Vol. 7, July 2002, pp. 71-86.
.	S.C. Wang, L.Y. Tseng, “類神經網路與流程管理技術應用於動態性行銷策略之研究”, in CY Journal, Vol. 6, July 2001, pp. 199-212.
.	S.C. Wang, M.F. Hsu, “A study of Strategic One-to-One Promotion with E-Commerce,” in Journal of Commercial Modernization, 2000, pp. 77-82.
.	S. C. Wang, K. Q. Yan, S. H. Kao and L. Y. Tseng, “Consensus with Dual Link Failure Modes on a Generalized Network,” in CY Journal, Vol. 5, Aug. 2000, pp. 35-52.
.	S. C. Wang and K. Q. Yan, “Visiting the New Territory of Interactive Consistency,” in CY Journal, Vol. 4, OCT. 1999, pp. 39-52.
.	S.C. Wang, K.Q. Yan, Y.S. Ciou, S.S. Wang, “The Application of Big Data Analysis - Euthanasia of Stray Animals Shelters in Taiwan as the Example,” 2017 International Conference on Innovation and Management (IAM2017W), Tokyo, Japan, Feb. 7-10, 2017.
.	S.C. Wang, Shun-Sheng Wang, Kuo-Qin Yan, Yu-Jun Wang, “Disaster Resilience Improvement by using Never Die Mobile Ad-hoc Network,” 2017 International Conference on Innovation and Management (IAM2017W), Tokyo, Japan, Feb. 7-10, 2017.
.	S.C. Wang, Kuo-Qin Yan, Shun-Sheng Wang, Yan-Zhen Li, “The Application of Analytic Hierarchy Process - To Inherit the Business Intelligence of a Traditional Industry,” 2017 International Conference on Innovation and Management (IAM2017W), Tokyo, Japan, Feb. 7-10, 2017.
.	S.C. Wang, S.S. Wang, and K.Q. Yan, “ The Fault Diagnosis Agreement of WSN,” The Fifth International Multi-Conference on Engineering and Technology Innovation 2016, Taichung, Taiwan, October 28-November 01, 2016, pp. 196.
.	C.L. Ho, S.C. Wang*, K.Q. Yan, S.S. Wang, “Effect of Information System Co-construction Policy on Cultural Propaganda Oriented Government Website - The National Taiwan Symphony Orchestra as a Case Study,” The Third International Conference on Computing, Measurement, Control and Sensor Network, Matsue, Shimane, Japan, May 20-22, 2016, pp. 142-145.
.	S.C. Wang, K.Q. Yan, S.S. Wang , Y.J. Wu, “Using House of Dynamic Wants to Discovery the Competency of Religious Lecturer - An Example of I-Kuan Tain the Central Region of Taiwan,” The Third International Conference on Computing, Measurement, Control and Sensor Network, Matsue, Shimane, Japan, May 20-22, 2016, pp. 122-125.
.	S.C. Wang, K.Q. Yan, H.H. Huang, Y.Z. Li, “To Heritage the Business Intelligence of Traditional Industry by Using Decision Support System” The Third International Conference on Computing, Measurement, Control and Sensor Network, Matsue, Shimane, Japan, May 20-22, 2016, pp. 72-75.
.	K.Q. Yan, S.C. Wang*, S.S. Wang, J.L. Juang, “Safety Live Environment Enhancement for Older Adult by Using the Behavior Prediction Model,” The Third International Conference on Computing, Measurement, Control and Sensor Network, Matsue, Shimane, Japan, May 20-22, 2016, pp. 36-39.
.	K.Q. Yan, S.C. Wang*, Y.H. Su, “Explore Green Energy Status and Future Trends in Taiwan” International Conference on Innovation and Management (IAM 2015S), Sapporo, Japan, July 14-17, 2015, pp. 115.
.	K.Q. Yan, S.C. Wang* and C.S. Peng, “The Study of Integrated Competence e-Evaluation System Model,” International Conference on Innovation and Management (IAM 2015S), Sapporo, Japan, July 14-17, 2015, pp.114.
.	S.S. Wang, S.C. Wang*, K.Q. Yan*, Y.S. Lin, “The Integration and Application of Smart Home Automation System - An Example of Household Gas Water Heater Control,” International Conference on Innovation and Management (IAM 2015S), Sapporo, Japan, July 14-17, 2015, pp. 104.
.	S.H. Pan, S.C. Wang*, S.S. Wang, J.L. Juang, “The Construction of Private Cloud Services in an Open Source Cloud Platform,” International Conference on Innovation and Management (IAM 2015S), Sapporo, Japan, July 14-17, 2015, pp. 103.
.	S.C. Wang, K.Q. Yan*, S.S. Wang*, M.M. Liu, “Create a SoA based OpenStack to Provide a High QoS Cloud Computing Environment,” International Conference on Innovation and Management (IAM 2015S), Sapporo, Japan, July 14-17, 2015. pp. 102.
.	S.C. Wang, S.C. Tseng, S.S. Wang*, B.W. Chen, “Quality of Service Enhancement in a Load Balance-based Cloud Storage,” International Conference on Innovation and Management (IAM 2015W), Singapore, February 3-6, 2015, pp. 18.
.	S.S. Wang, S.C. Wang*, C.M. Chang, M.M. Liu, “The Study of Resources Allocation on the OpenStack Cloud Computing Platform,” International Conference on Innovation and Management (IAM 2015W), Singapore, February 3-6, 2015, pp. 19.
.	K.Q. Yan, S.C. Wang*, Y.H. Su, S.Z. Chen, “Popularity-based Rapid Consistency Strategy on Data Replica in the Cloud Computing Environment,” International Conference on Innovation and Management (IAM 2015W), Singapore, February 3-6, 2015, pp. 28.
.	S.C. Wang, Y.H. Su, G.Y. Zheng, M.M. Liu, “The Study of Virtual Machines Allocation on the Open Source Cloud Computing Platform ---An Example of Openstack,” BAI2014 International Conference on Business and Information, Osaka, Japan, July 03-05, 2014, pp. 3343-3353.
.	S.C. Wang, C.W. Chen, S.S. Wang*, K.Q. Yan*, “To Achieve Data Security by a Security Level Agreements underlying the IoT Environment,” BAI2014 International Conference on Business and Information, Osaka, Japan, July 03-05, 2014, pp. 3398-3406.
.	S.C. Wang, L.H. Liao, K.Q. Yan, S.J. Wang, C.C. Tsai, “Performance enhancement of service oriented internet of things by using management of service requests,” BAI2014 International Conference on Business and Information, Osaka, Japan, July 03-05, 2014, pp. 3354--3363.
.	S.C. Wang, S.S. Wang*, C.M. Chang, K.Q. Yan*, K.Y. Lu, “The Quality of Services Improvement for the e-commerce underlying IoT by using Context-aware Sensing Messages and Information Feedback Mechanism,” BAI2014 International Conference on Business and Information, Osaka, Japan, July 03-05, 2014, pp. 3364-3370.
.	H.H. Pan, S.C. Wang*, S.S. Wang*, P.C. Lin, “Quality Enhancement of P2P by using Candidate Node Election Mechanism in the Interest-group based P4P,” BAI2014 International Conference on Business and Information, Osaka, Japan, July 03-05, 2014, pp. 3334-3342.
.	K.Q. Yan, S.C. Wang*, C.S. Peng, and S.S. Wang, “Taiwan Tranquali System Importation--A Case Study on a Transmission Components Factor in the Central Region of Taiwan,” BAI2014 International Conference on Business and Information, Osaka, Japan, July 03-05, 2014, pp. 3385-3397.
.	S.C. Wang, C.W. Chen, S.S. Wang, and K.Q. Yan, “To Achieve Data Security by a Lightweight Mechanism Underlying the IoT Environment,” International Conference on Computer Engineering & Mathematical Sciences, Kuala Lumpur, Malaysia, Dec. 5, 2013.
.	K.Q. Yan, S.C. Wang*, C.S. Peng, and S.S. Wang, “Optimal Agreement Protocol for Cluster-based Wireless Sensor Networks,” International Conference on Computer Engineering & Mathematical Sciences, Kuala Lumpur, Malaysia, Dec. 5, 2013.
.	S.C. Wang, S.S. Wang*, C.W. Chen, K.Q. Yan*, “A Fuzzy-Based Management for Power-Aware Wireless Sensor Network,” 2013 International Applied Science and Precision Engineering Conference (ASPEC), Taiwan, October 18-22, 2013, pp. 134.
.	K.Q. Yan, S.C. Wang*, C.S. Peng, S.S. Wang*, “A Centre Clustering Mechanism of Wireless Sensor Network,” 2013 International Applied Science and Precision Engineering Conference (ASPEC), Taiwan, October 18-22, 2013, pp. 136.
.	S.C. Wang, K.Q. Yan*, S.S. Wang*, B.W. Chen, “LDMCS: A Lightweight Deduplication Mechanism under Cloud Storage,” BAI2013 International Conference on Business and Information, Bali, Indonesia, July 07-09, 2013, pp. E32-E40.
.	S.C. Wang, C.W. Chen, S.S. Wang*, K.Q. Yan*, “To Achieve Data Availability and Reliability by a Middleware Framework underlying the IOT Environment,” BAI2013 International Conference on Business and Information, Bali, Indonesia, July 07-09, 2013, pp. E24-E31.
.	S.S. Wang*, S.C. Wang*, K.Q. Yan*, S.J. Wang, “The Study of Service-oriented Architecture and Operating Procedures in the Internet of Things,” BAI2013 International Conference on Business and Information, Bali, Indonesia, July 07-09, 2013, pp. E50-E60.
.	K.Q. Yan, S.C. Wang*, C.S. Peng, S.S. Wang*, “The Study of Competence Ability for Bookkeepers- An Example of Accounting Firm in the Central Region of Taiwan,” BAI2013 International Conference on Business and Information, Bali, Indonesia, July 07-09, 2013, pp. G190-G196.
.	H.H. Pan, S.C. Wang*, S.S. Wang*, K.Y. Lu, “The New Territory of e-commerce Module underlying Internet of Things,” BAI2013 International Conference on Business and Information, Bali, Indonesia, July 07-09, 2013, pp. D70-D79.
.	K.Q. Yan, S.S. Wang*, S.C. Wang*, S.Z.Chen, “To Enhance the Service Performance of Cloud Computing by using K-means based on RFM Data Analysis,” BAI2013 International Conference on Business and Information, Bali, Indonesia, July 07-09, 2013, pp. E41-E49.
.	G.Y. Zheng, S.C. Wang* and K.Q. Yan, “Hybrid Virtual Subnet Agreement in a Mobile Cloud Computing,” International Conference on Soft Computing and Computational Mathematical (ICSCCM2013), 2-4 July 2013, Kuala Lumpur, Malaysia, pp. 20-27.
.	K.Q. Yan, H.H. Huang, S.C. Wang*, S.S. Wang*, “Optimal Malicious Agreement in a Virtual Subnet-based Cloud Computing Environment,” The Eighth International Conference on Internet and Web Applications and Services (ICIW2013), June 23 - 28, 2013, Rome, Italy, pp. 224-229.
.	S.C. Wang, C.W. Chen, K.Q. Yan*, S.S. Wang*, “The Anatomy Study of Load Balancing in Cloud Computing Environment,” The Eighth International Conference on Internet and Web Applications and Services (ICIW2013), June 23 - 28, 2013, Rome, Italy, pp. 230-235.
.	S.C. Wang, W.P. Liao, K.Q. Yan*, S.S. Wang* and S.H. Tsai, “Security of Cloud Computing Lightweight Authentication Protocol,” The 2nd International Conference on Engineering and Technology Innovation 2012 (ICETI2012), Kaohsiung, Taiwan, Nov. 02-06 2012, pp. 90.
.	S.C. Wang, K.Q. Yan*, C.L. Ho and S.S. Wang*, “Reaching Agreement in a Dual Fallible Cluster-based Wireless Sensor Network,” The 2nd International Conference on Engineering and Technology Innovation 2012 (ICETI2012), Kaohsiung, Taiwan, Nov. 02-06 2012, pp. 87.
.	S.C. Wang, K.Q. Yan* and G.Y, Zheng, “Virtual Subnet Agreement Protocol in a Cloud Storage Environment,” International Conference on Computer Engineering & Mathematical Sciences (ICCEMS 2012), Kuala Lumpur, Malaysia, 27-28 August 2012.
.	K.Q. Yan, Y.F. Yang, S.C. Wang* and S.S. Wang, “The New Territory of Digital Marketing,” International Conference on Innovation and Management (IAM 2012), Republic of Palau, July 15-18, 2012, pp. 62.
.	S.C. Wang, C.L. Ho, S.S. Wang and K.Q. Yan*, “Reaching Consensus underlying Fallible Cluster-based Wireless Sensor Network,” International Conference on Innovation and Management (IAM 2012), Republic of Palau, July 15-18, 2012, pp. 101.
.	S.C. Wang, S.S. Wang, K.Q. Yan* and B.W. Chen, “HDDS: Hybrid data DeDuplication Strategy over Cloud Storage,” International Conference on Innovation and Management (IAM 2012), Republic of Palau, July 15-18, 2012, pp. 103. (Best paper award).
.	S.C. Wang, S.S. Wang*, K.Q. Yan* and S.Z. Chen, “Atomic Recession-based Adjustable File Replication in the Cloud Computing Environment,” International Conference on Innovation and Management (IAM 2012), Republic of Palau, July 15-18, 2012, pp. 104. (Best paper award).
.	S.C. Wang, C.L. Ho, K.Q. Yan*, S.S. Wang, “Reaching Trust Consensus in a Fallible Cluster-based Wireless Sensor Network,” BAI2012 International Conference on Business and Information, Sapporo, Japan, July 03-05, 2012, pp. E62-E73.
.	K.Q. Yan, H.H. Huang, S.S. Wang*, S.C. Wang*, “Enhancing the Quality of Cloud Storage Service with Node Selection Mechanism,” BAI2012 International Conference on Business and Information, Sapporo, Japan, July 03-05, 2012, pp. E45-E61.
.	S.C. Wang, W.P. Liao, S.S. Wang*, K.Q. Yan*, Y.N. Lin, “Integrate the Business Model Level and the Publish Subscription Mechanism to Construct a Cloud Market,” BAI2011 International Conference on Business and Information, Bangkok, Thailand, July 4-6, 2011.
.	S.C. Wang, W.P., Liao, K.Q. Yan*, S.S. Wang*, C.C. Chiang, “To Create a Win-win e-Commerce by using Three-tier Customer Relationship Management,” BAI2011 International Conference on Business and Information, Bangkok, Thailand, July 4-6, 2011.
.	K.Q. Yan, S.C. Wang*, M.L. Chiang, S.S. Wang*, S.H. Tsai, “Security Enhancement by Cipher-based Authentication and Key Agreement in a Cloud Computing Environment,” BAI2011 International Conference on Business and Information, Bangkok, Thailand, July 4-6, 2011 (Best paper award).
.	K.Q. Yan, S.S. Wang, S.C. Wang* and C.W. Liu, “Hybrid Intrusion Detection System for Enhancing the Security of a Cluster-based Wireless Sensor Network,” 2010 3rd IEEE International Conference on Computer Science and Information Technology (IEEE ICCSIT 2010), Chengdu, China, 9-11 July 2010, pp. 114-118.
.	S.C. Wang, W.B. Liao, K.Q. Yan and C.P. Huang, “The Anatomy Study of Efficient Agreement in a Cloud Computing Environment with Fallible Processes,” 2010 3rd IEEE International Conference on Computer Science and Information Technology (IEEE ICCSIT 2010), Chengdu, China, 9-11 July 2010, pp. 124-128.
.	M.L. Chiang, S.C. Wang*, K.Q. Yan and H.H. Liang, “Efficient Clustering Mechanism for WiMAX Network,” 2010 3rd IEEE International Conference on Computer Science and Information Technology (IEEE ICCSIT 2010), Chengdu, China, 9-11 July 2010, pp. 119-123.
.	S.C. Wang, K.Q. Yan, S.S. Wang and C.P. Huang, “Achieving High Efficient Agreement with Malicious Faulty Nodes on a Cloud Computing Environmen,” Fourth International Conference on Computer Sciences and Convergence Information Technology, Seoul, Korea, 24~26 November 2009, pp. 468-473.
.	K.Q. Yan S.C. Wang* and C.W. Liu, “A Hybrid Intrusion Detection System of Cluster-based Wireless Sensor Networks,” The International MultiConference of Engineers and Computer Scientists 2009 (IMECS 2009), Hong Kong, 18-20 March, 2009, pp.411-416 .
.	S.C. Wang, K.Q. Yan and C.H. Wang, “A Channel Allocation based WiMax Topology,” The International MultiConference of Engineers and Computer Scientists 2009 (IMECS 2009), Hong Kong, 18-20 March, 2009, pp. 299-304.
.	K.Q. Yan, S.C. Wang*, S.S. Wang and C.P. Huang, “Revisit Consensus with Dual Fallible Communication in Cloud Computing,” The International MultiConference of Engineers and Computer Scientists 2009 (IMECS 2009), Hong Kong, 18-20 March, 2009, pp. 392-397.
.	S.C. Wang, T.C. Chung and K.Q. Yan, “Variable Remote Download Control Function for iTV Services,” The International MultiConference of Engineers and Computer Scientists 2009 (IMECS 2009), Hong Kong, 18-20 March, 2009, pp. 996-1001.
.	S.C. Wang, S.H. Pan, Y.L. Lo, K.Q. Yan, “A Unified Framework of Data Exchange Mechanism in an Intelligent Transportation System,” The International MultiConference of Engineers and Computer Scientists 2009 (IMECS 2009), Hong Kong, 18-20 March, 2009, pp. 280-285.
.	S.C. Wang, C.S. Shiao, K.Q. Yan, and S.S. Wang, “A Secure Wireless Sensor Network by Trusted Timely Computing Base Model,” 18th Annual Conference International Information Management Association (IIMA), Beijing, China, Oct. 16-19, 2007, pp. 57-63.
.	S.C. Wang, S.H. Pan, K.Q. Yan, S.S. Wang, and S.C. Yang, “Towards Optimal High Reliable Byzantine Agreement in a Scale Free Network,” 18th Annual Conference International Information Management Association (IIMA), Beijing, China, Oct. 16-19, 2007, pp. 47-56.
.	K.Q. Yan, S.C. Wang*, S.F. Chen, and S.S. Wang, “Reaching Efficient Load Balancing by Two-phase Scheduling in Three-level Peer-to-peer Network,” 18th Annual Conference International Information Management Association (IIMA), Beijing, China, Oct. 16-19, 2007, pp. 1-13.
.	S.C. Wang, K.Q. Yan, and G.Y. Zheng, “Efficient Malicious Agreement in a Virtual Subnet Network,” The Second International Conference on Availability, Reliability and Security (ARES2007), Vienna, April 10-13, 2007, pp.812-818.
.	S. . Wang, K.Q. Yan, and G.Y. Zheng, “Towards Dual Fallible Agreement in a Virtual Subnet Network,” IASTED conference on Communication Systems and Networks (AsiaCSN 2007), Phuket, Thailand, April 2-4, 2007, pp. 137-142.
.	K. Q. Yan and S. C. Wang, “Reaching Reliable Agreement on Wireless Mobile Network,” IASTED conference on Communication Systems and Networks (AsiaCSN 2007), Phuket, Thailand, April 2-4, 2007, pp. 227-232.
.	S.C. Wang, S.C. Yang, andK.Q. Yan, “Towards Malicious Agreement in a Scale Free Network,” 2006 International Workshop on Computer Networks and Wireless Communications, Taipei, Taiwan, December 4-6. 2006 (conjunction with ICS 2006), pp. 728-733.
.	K.Q. Yan, S.C. Wang*. G.Y. Zheng, “Revisit Byzantine Agreement in Hybrid Fallible Virtual Subnet Network,” 2006 International Workshop on Computer Networks and Wireless Communications, Taipei, Taiwan, December 4-6. 2006 (conjunction with ICS 2006), pp. 722-727.
.	K.Q. Yan, S.C. Wang*, G.Y. Zheng, “A New Territory of Malicious Agreement in a Virtual Subnet Network,” in the Proceeding of Networks: Computation, Communication and Applications (NCCA'06), 25-29 September, University of Oxford, UK.
.	S.C. Wang, S.C. Yang , and K.Q. Yan, “Byzantine Agreement on a Arbitrary Faulty Scale Free Network,” in the Proceeding of Networks: Computation, Communication and Applications (NCCA'06), 25-29 September, University of Oxford, UK.
.	S.C. Wang, K.Q. Yan, C.P. Chang, and L.Y. Tseng, “Towards Efficient Load Balancing in Grid Computing,” in the Proceeding of Joint 3rd International Conference on Soft Computing and Intelligent Systems and 7th International Symposium on advanced Intelligent Systems, SCIS & ISIS 2006, September 20-24, 2006, Tokyo Japan, pp.2107-2112.
.	K.Q. Yan, S.C. Wang*, and G.Y. Zheng, “Reaching Dual Fallible Virtual Subnet Consensus,” in the Proceeding of Joint 3rd International Conference on Soft Computing and Intelligent Systems and 7th International Symposium on advanced Intelligent Systems, SCIS & ISIS 2006, September 20-24, Tokyo Japan, 2006, pp. 2147-2152.
.	S.C. Wang, K.Q. Yan, Y.P. Lin, and C.T. Chih, “Consensus with Dual Fallible Wormhole Network,” in the Proceeding of Joint 3rd International Conference on Soft Computing and Intelligent Systems and 7th International Symposium on advanced Intelligent Systems, SCIS & ISIS 2006, September 20-24, 2006, Tokyo Japan, pp.1553-1558.
.	S.C. Wang, C,F. Cheng, and T. Liang, “Zone-Oriented Byzantine Agreement on Zone-Based Wireless Ad-Hoc Network,” in the Proceeding of 2006 International Conference on High Performance Computing and Communications (HPCC-06), September 13-15, 2006, Munich, Germany.
.	S.C. Wang and K.Q. Yan, “Enhance the Stability of MANET by Using Mobile Agent,” in the Proceeding of International Workshop on Peer-to-Peer Information Management, Hong Kong, May 29, 2006.
.	S.C. Wang and K.Q. Yan, “Reaching Re-Consensus Protocol,” in the Proceeding of the 9th World Multiconference on Systemics, Cybernetics and Informatics (WMSCI 2005), Orlando, USA, July 10-13, 2005, pp. 241-245.
.	K.Q. Yan and S.C. Wang*, “Unreliable Byzantine Agreement Underlying Mobile Network,” in the Proceeding of the 9th World Multiconference on Systemics, Cybernetics and Informatics (WMSCI 2005), Orlando, USA, July 10-13, 2005, pp. 386-391.
.	S.C. Wang, K.Q. Yan and M.S. Kuo, “A Study of Fault-Tolerant Issue underlying Scale-Free Networks,” in the Proceeding of the 2005 International Conference on Wireless Networks (ICWN’05), Las Vegas, Nevada, USA, June 27-30, 2005, pp. 244-250.
.	K.Q. Yan, S.C. Wang* and C.Y. Huang, “New Territory of Agreement underlying Mobile Ad-Hoc Network,” in the Proceeding of the 2005 International Conference on Wireless Networks (ICWN’05), Las Vegas, Nevada, USA, June 27-30, 2005, pp. 546-551.
.	K.Q. Yan, S.C. Wang* and T.S. Chen, “Reaching a Hybrid Fallible Multicasting Consensus,” in the Proceeding of the 2005 International Conference on Parallel and Distributed Processing Techniques and Application (PDPTA’05), Las Vegas, Nevada, USA, June 27-30, 2005, pp. 514-520.
.	S.C. Wang, K.Q. Yan and Y.H. Huang, “Mobile Agent-Based Hierarchical Cellular-Based Management,” in the Proceeding of the 2005 International Conference on Parallel and Distributed Processing Techniques and Application (PDPTA’05), Las Vegas, Nevada, USA, June 27-30, 2005, pp. 642-648.
.	K.Q. Yan, S.C. Wang*, and Y.Y. Chou “A Hierarchical Cellular-Based Management Using Fuzzy Inference System,” in the Proceeding of IACIS Pacific 2005 Conference, Taipei, Taiwan, May 19-21, 2005, pp. 880-886.
.	K.Q. Yan and S.C. Wang*, “Byzantine Agreement under Unreliable Mobile Network，” in the Proceeding of Parallel and Distributed Computing and Networks (PDCN 2005), February 15-17, 2005, Innsbruck, Austria, CD Version.
.	S.C. Wang, K.Q. Yan, and C.H. Wei, “'Mobile Target Advertising by Combining Self-Organization Map and Decision Tree,” in the Proceeding of IEEE International Conference on e-Technology, e-Commerce, and e-Service, March 28-31, 2004, pp. 249-252.
.	S.C. Wang, K.Q. Yan, and C.H. Wei, “Mobile Target Advertising for Mobile User,” International Workshop on Business and Information, 26-27, March 2004, V-2.
.	S.C. Wang, K.Q. Yan, and H.C. Hsieh, “The Byzantine Agreement under Mobile Network,” in the Proceeding of 2004 IEEE International Conference on Networking, Sensing and Control (ICNCS2004), March 21-23, 2004, pp. 46-51.
.	S.C. Wang, W.P. Yang, and C.F. Cheng, “Byzantine Agreement on Mobile Ad-Hoc Network,” in the Proceeding of 2004 IEEE International Conference on Networking, Sensing and Control (ICNCS2004), March 21-23, 2004, pp. 52-57.
.	K.Q. Yan, S.C. Wang*, and H.C. Hsieh, “New Approach to Enhance the Correctness of Fault Detection,” in the Proceeding of 2003 International Conference on Informatics, Cybernetics and Systems (ICICS2003), December 14-16, 2003, pp. 509-514.
.	S.C. Wang, K.Q. Yan, and H.C. Hsieh, “Reaching Reliable Agreement in a Fallible Mobile Environment,” in the Proceeding of 2003 International Conference on Informatics, Cybernetics and Systems (ICICS2003), December 14-16, pp. 515-520.
.	M.L. Chiang, S.C. Wang*, and K.F. Jea, “Reaching Real Agreement in a Scale-Free Network Environment,” in the Proceeding of 2003 International Conference on Informatics, Cybernetics and Systems (ICICS2003), December 14-16, pp. 1441-1446.
.	S.C. Wang, K.Q. Yan, and C.H. Wei, “Low Incursion of Personal Information in Mobile Personalized Advertising Mechanism,” in the Proceedings of 2003 E-Commerce Research Conference, December 14, 2003, (CD Version).
.	S.C. Wang, K.Q. Yan, and C.H. Wei, “A New Approach for Mobile Target Advertising: Combine Adaptive Resonance Theory and Decision Tree,” in the Proceedings of 2003 International Conference on Technology and Management with Special Symposium on Advanced Interactive Systems, October 22-24, 2003, pp. 172-181.
.	S.C. Wang, K.Q. Yan, and C.F. Cheng, “Reach Unanimity Problem on an Unknown Network,” in the Proceedings of 2002 International Computer Symposium (ICS2002), Dec. 2002, pp. 103-110.
.	S.C. Wang, K.Q. Yan, and C.F. Cheng, “Reaching Fault Detection Agreement,” in the Proceedings of 2002 International Computer Symposium (ICS2002), Dec. 2002, pp. 651-657.
.	S.C. Wang, K.Q. Yan, S.H. Kao, M.L. Chiang, and C.F. Cheng, “Multicasting Consensus Underlying Unreliable Environment,” in the Proceedings of Internet and Multimedia Systems and Applications (IASTED2002), Aug. 2002, pp. 403-408.
.	S.C. Wang, K.Q. Yan and M.L. Chiang, “Reliable Decision in an un-Safely Distributed Environment,” in the International Conference on Systems Engineering, 2002 Aug, (CD version).
.	S.C. Wang, J.E. Yang, K.Q. Yan, and C.F. Cheng, “Achieving High Efficient Consensus in a Hybrid Fallible Multicasting Network,” in the International Conference on Systems Engineering, 2002 Aug, (CD version).
.	S.C. Wang, C.Y. Yang, K.Q. Yan, and C.F. Cheng, “Hybrid Byzantine Agreement on a Multicasting Network,” in the 6th World Multi- Conference on Systemics, Cybernetics and Informatics, SCI 2002, 2002 Jul, pp.259-264.
.	S.C. Wang and S.H. Kao, “A New Approach for Byzantine Agreement,” 15th International Conference on Information Networking (ICOIN-15 2001), Jan. 31- Feb. 2, pp. 518-524.
.	S.C. Wang, K.Q. Yan and S.H. Kao, “Multicasting Agreement Protocol (MAP),” in the Proceedings of International Conference Parallel Computing 2001; (ParCo2001), 2002 Sep. 3-6, (CD version).
.	S.C. Wang and K.Q. Yan, “Multicasting Strong Consensus,” in the Proceedings of International Conference on Parallel and Distributed Processing Techniques and Applications (PDPTA’2001). June 25-28, pp. 278-284.
.	K.Q. Yan, S.C. Wang*, “Hybrid Consensus on Generalized Link Fallible Network,” in the Proceedings of World MultiConference on Systemic, Cybernetics and Informatics, July 23-26, 2000, pp. 345-350.
.	K.Q. Yan, S.C. Wang*, “Reaching Agreement in Amalgam Link Faults,” in the Proceedings of the 14th International Symposium on Computer and information Science, IZMIR, TURKEY, 1999, pp.387-394.
.	S.C. Wang and K.Q Yan, “Revisit Consensus Problem on Dual Link Failure Modes,” in the Proceedings of International Computer Software & Applications Conference, August 19-21, 1998, Vienna, Austria, pp. 84-89.
.	S.C. Wang, Y.H. Chin, and K.Q. Yan, “The Byzantine General's New Territory,” in the Proceedings of the First International Conference on System Integration, New Jersey, April 23-26, 1990, PP. 772-780.
.	S.C. Wang, Y.H. Chin, and K.Q. Yan, “The New Combat of a Byzantine General", in Proceedings of International Conference on Computing and Information, ICCI'90, pp. 413-417.
.	S.C. Wang and Y.H. Chin, “Consensus Problem on a Generalized Network Connected by Unreliable Transmission Media", in Proceedings of International Conference on Computing and Information, ICCI'90, pp. 441-445.
.	S.C. Wang, Y.H. Chin, and K.Q. Yan "Reaching a Fault Detection Agreement,” in the Proceedings of International Conference on Parallel Processing, August 13-17, 1990, pp. I-25~I-258.
.	S.C. Wang, Y.H. Chin, and K.Q. Yan, “Consensus Problem on a Generalized Network Connected by Unreliable Transmission Media, (Poster)" in the Proceedings of 1990 International Phoenix Conference on Computers and Communications, March 1990, Arizona, U.S.A.
.	S.C. Wang, Y.H. Chin, K.Q. Yan, and C. Chen, “Achieving Byzantine Agreement in A Generalized Network Model,” IEEE Computer Society Press, Proceedings of CompEuro 89, FRG., 1989, PP. 4.139-4.145.
.	王淑卿、王順生*、張智明、嚴國慶，"在物聯網環境下應用適地性行動商務APP對消費者行為意圖之研究,” 2016年第廿二屆資訊管理暨實務研討會, Dec. 10, 2016, pp. 572-586.
.	王淑卿、嚴國慶*、黃翊翎、邱怡瑄，"台灣民宿產業創新策略之研究-以宜蘭縣懷鄉園民宿為例，"2016年第二十七屆國際資訊管理學術研討會，靜宜大學，May 21, 2016, pp. 1-15.
.	王淑卿、王順生*、嚴國慶*、邱怡瑄、黃學馴，"以兩階段資料處理法改善大數據資料不可用的問題 ---大數據的藍海，"2016第十屆資訊科技國際研討會暨第六屆台灣網路智能學會學術論壇，朝陽科技大學，April 23, 2016.
.	王淑卿、王順生*、嚴國慶*、莊竣龍，"運用行為預測模式提供具安全性的智慧家庭環境，"2015 第二十一屆國際資訊管理暨實務研討會及第十三屆管理學術研討會，勤益科技大學，Novenber 27, 2015.
.	王淑卿、嚴國慶*、吳宜靜、溫光鴻，"以動態需求屋探討宗教講師職能之研究-以中部地區一貫道為例，"2015 第二十一屆國際資訊管理暨實務研討會及第十三屆管理學術研討會，勤益科技大學，Novenber 27, 2015.
.	王淑卿、王順生*、嚴國慶、留旻懋，"建立以服務為導向的OpenStack雲端平台，"2015年資訊科技國際研討會暨民生電子論壇，朝陽科技大學，April 24-25, 2015, pp. 1042-1051.
.	王順生、嚴國慶*、王淑卿*、林永設，"智慧型家庭自動化系統的整合與應用--以家庭瓦斯熱水器安全控制機制為例，"2015年資訊科技國際研討會暨民生電子論壇，朝陽科技大學，April 24-25, 2015, pp. 1077-1086.
.	王淑卿、彭金山、吳宜靜、王順生*，"宗教講師職能之研究-以中部地區一貫道為例，"2015年資訊科技國際研討會暨民生電子論壇，朝陽科技大學，April 24-25, 2015, pp. 737-743.
.	王順生、王淑卿*、莊竣龍、陳凱煜、翁采玲、施雨函、李彥蓁，"在開放原始碼雲端平台建構私有雲之雲端服務－以企業內部活動行事曆為例，"2015年資訊科技國際研討會暨民生電子論壇，朝陽科技大學，April 24-25, 2015, pp. 1025-1034.
.	嚴國慶、王淑卿*、蘇永祥、王順生*，"綠色能源的現況與未來發展趨勢之探索，"2015年資訊科技國際研討會暨民生電子論壇，朝陽科技大學，April 24-25, 2015, pp. 917-925.
.	嚴國慶、王淑卿*、彭金山、王順生*，"整合式職能評價e化系統模型建構的研究，"2015年資訊科技國際研討會暨民生電子論壇，朝陽科技大學，April 24-25, 2015, pp. 697-708.
.	何金玲、王淑卿*，"政府資訊系統共構政策對機關影響的研究—以國立臺灣交響樂團官網為例，"2015年資訊科技國際研討會暨民生電子論壇，朝陽科技大學，April 24-25, 2015, pp. 765-774.
.	王淑卿、嚴國慶*、王順生*、留旻懋，“OpenStack雲端運算平台服務需求配置之研究,” 2014TANET 臺灣網際網路研討會，高雄應用科技大學，October 22-24, 2014, pp. 91-96.
.	王淑卿、王順生*、林泊建，“以具位置知覺和興趣分群的三階層式架構提昇同儕網路的效能,” 第25屆國際資訊管理學術研討會，中興大學，May 24, 2014, pp. 8.
.	王淑卿、王順生*、林永設，“以雲端運算平台建構瓦斯熱水器安全控制機制,” 2014年資訊科技國際研討會，朝陽科技大學，April 18-19, 2014.
.	王淑卿、王順生*、陳慶維、林泊建，“在興趣叢集P4P網路架構下以候選節點選派機制提昇P2P的服務品質,” 2014年資訊科技國際研討會，朝陽科技大學，April 18-19, 2014.
.	王順生、王淑卿*、嚴國慶*、王信傑，“在服務導向物聯網下以服務需求管理作業提升系統服務效能---以防災監測應用為例,” 2014年資訊科技國際研討會，朝陽科技大學，April 18-19, 2014.
.	嚴國慶、王淑卿*、王順生*、盧可茵，“物聯網中以感測訊息之情境感知與資訊回饋機制提昇電子商務服務品質,” 2014年資訊科技國際研討會，朝陽科技大學，April 18-19, 2014.
.	王順生、王淑卿*、陳慶維，“透過安全水準協議與輕量安全機制提昇物聯網的安全性,” 2014年資訊科技國際研討會，朝陽科技大學，April 18-19, 2014.
.	嚴國慶、王淑卿*、彭金山，“台灣中部中小企業會計人員職能培訓需求調查研究,” 2014年資訊科技國際研討會，朝陽科技大學，April 18-19, 2014.
.	王淑卿、嚴國慶*、林泊建，“建構以興趣叢集為基礎的P4P架構提昇同儕網路之服務效能，”2013第十九屆資訊管理暨實務研討會，台中科技大學，Dec. 7, 2013, pp. 806-819.
.	王淑卿、王順生*、陳慶維、林泊建，“以興趣叢集與P4P為基礎提昇P2P服務效能，” 2013全國計算機會議，亞洲大學，Dec. 3-4, 2013.
.	王淑卿、王順生*、盧可茵，“物聯網環境中電子商務行銷組合之探討，” 2013年第八屆中華商管科技學會學術研討會，雲林科技大學，Nov. 22, 2013, pp. 25.
.	嚴國慶、王淑卿*、彭金山， “TTQS訓練品質系統的導入－以中部某傳動元件工廠為例，” 2013年第八屆中華商管科技學會學術研討會，雲林科技大學，Nov. 22, 2013, pp. 33.
.	王淑卿、嚴國慶*、王信傑、黃學馴，“以排程機制提升防災監測物聯網之服務效能,” 2013年網路及資訊安全研討會(CNIS2013)，健行科技大學，June 14, 2013, pp. 24-29.
.	王淑卿、嚴國慶*、陳柏煒、楊欲富，“以競爭平行傳輸機制提升雲儲存之檔案傳輸效能,”第八屆智慧生活科技研討會(ILT2013)，勤益科技大學，June 7, 2013, pp. 1334-1344.
.	王順生、王淑卿*、陳聖中、楊欲富，“雲端運算環境中以檔案熱門程度的浮動門檻進行檔案副本儲存一致性的快速調節策略,”第八屆智慧生活科技研討會(ILT2013)，勤益科技大學，June 7, 2013, pp. 1341-1348.
.	王淑卿、嚴國慶*、盧可茵、楊欲富，“以顧客價值分析與資料探勘技術改善企業雲端市集之行銷策略,”第八屆智慧生活科技研討會(ILT2013)，勤益科技大學，June 7, 2013, pp. 522-529.
.	王淑卿、嚴國慶*、盧可茵、陳德才，“雲端市集中以三階段顧客需求探勘機制提供企業行銷策略之制定,”2013年第廿四屆國際資訊管理學術研討會(ICIM2013)，真理大學，May 24-26 2013, pp. 31.
.	王淑卿、王順生*、嚴國慶*、盧可茵，“在物聯網環境中企業電子商務收益之研究,” 第十四屆電子化企業經營管理理論暨實務研討會，大葉大學，May 24, 2013, pp. 1.
.	王順生、嚴國慶*、王淑卿*、陳柏煒，“以輕量比對之資料重複刪除機制提昇雲儲存環境之效能,” 2013年資訊科技國際研討會，朝陽科技大學，April 27, 2013, pp. 124.
.	王順生、嚴國慶*、王淑卿*、陳聖中，“以RFM資料分析為基礎建立檔案分群機制提升雲端運算的服務效能,” 2013年資訊科技國際研討會，朝陽科技大學，April 27, 2013, pp. 135.
.	王順生、王淑卿*、嚴國慶*、王信傑，“在物聯網建構以服務為導向的架構和作業流程--以防災監測服務為例,” 2013年資訊科技國際研討會，朝陽科技大學，April 27, 2013, pp. 102.
.	王淑卿、陳慶維、王順生*、嚴國慶*，“透過中介層機制達到資料在物聯網下的可用性與安全性,” 2013年資訊科技國際研討會，朝陽科技大學，April 27, 2013, pp. 159.
.	王淑卿、廖文賓、嚴國慶*、王順生*，“以平均故障間隔時間為基礎之氣渦輪發電機熱元件用料需求決策分析策略--以南部某電廠為例,” 2013年資訊科技國際研討會，朝陽科技大學，April 27, 2013, pp. 73.
.	嚴國慶、王淑卿*、彭金山、王順生*，“記帳士從業人員職能模型之研究--以中部地區會計事務所為例,” 2013年資訊科技國際研討會，朝陽科技大學，April 27, 2013, pp. 156.
.	嚴國慶、王淑卿*、潘信宏、許凱傑、陳蓉慧、陳銘峰、陳奕達、黃梓筠、李慧紅、孫雍祥，“在雲端運算環境下以新型態電子商務模式提高雲端服務品質,” 2013年資訊科技國際研討會，朝陽科技大學，April 27, 2013, pp. 34.
.	王順生、王淑卿*、鐘子智、林泊建、張文翔、張逸軒、江佳玟、林俊佑、陳世宇、陳俊宇，“在雲端運算環境下以無線射頻技術提升課堂點名效率,” 2013年資訊科技國際研討會，朝陽科技大學，April 27, 2013, pp. 35.
.	王淑卿、李金鳳、江茂綸、曾莉雅、留旻懋、洪瑋修、簡輝銘、毛上仁，“建構雲端資源管理整合平台—以Hadoop為例,” 2013年資訊科技國際研討會，朝陽科技大學，April 27, 2013, pp. 36.
.	王淑卿、王順生*、嚴國慶*、陳柏煒，“在雲儲存環境下以動態索引式布隆過濾器增進資料重複刪除系統之比對效率，”2012年民生電子研討會，，虎尾科技大學，Nov. 16, 2012, pp. 43.
.	王順生、王淑卿*、嚴國慶*、陳聖中，“以熱門程度的浮動門檻進行雲端運算環境中檔案副本儲存一致性的快速調節策略，”DLT2012數位生活科技研討會，雲林科技大學，Aug. 15~16, 2012, pp. 58.
.	王淑卿、王順生*、嚴國慶*、陳柏煒，“以結構化點對點網路為基礎之雲儲存資料放置策略，”DLT2012數位生活科技研討會，雲林科技大學，Aug. 15~16, 2012, pp. 58.
.	S.C. Wang, K.Q. Yan*, C.L. Ho, S.S. Wang*, “A Malicious Agreement in a Cluster-based Wireless Sensor Network,” 2012年資訊科技國際研討會，朝陽科技大學，April 27-28, 2011, pp. 36.
.	潘信宏、王淑卿*、陳柏煒、盧秋惠、王信傑、陳姿婷、林珏妤、徐至捷，“在全球衛星定位系統架構下以創新的服務模式提升使用者滿意度,” 2012年資訊科技國際研討會，朝陽科技大學，April 27-28, 2012, pp. 16.
.	嚴國慶、王淑卿*、王順生*、陳柏煒，“在雲儲存環境下以混和式資料重複刪除機制提昇服務品質,” 2012年資訊科技國際研討會，朝陽科技大學，April 27-28, 2012, pp. 9.
.	S.C. Wang, K.Q. Yan*, S.S. Wang*, C.C. Chian, “, “Use the e-market Platform-based Customer Relationship Management System to Reduce the Business Cost,” 第十七屆資訊管理暨實務研討會, 嘉南藥理科技大學, Dec. 10, 2011.
.	王順生、王淑卿*、嚴國慶*、陳聖中，“小檔案的儲存提昇雲端運算環境中檔案儲存的效能--以Hadoop為例,”2011產業資訊管理學術暨新興科技實務研討會，輔仁大學，Nov. 19, 2011, pp. 325-335.
.	王淑卿、王順生*、嚴國慶*、陳柏煒，“在雲端儲存環境下以分群、複製及競爭策略提昇資料存取效能,”2011產業資訊管理學術暨新興科技實務研討會，輔仁大學，Nov. 19, 2011, pp. 302-312.
.	嚴國慶、王淑卿*、王順生*、姜志承，“以建構於電子市集上的顧客關係管理系統共創交易市場中三贏的契機,”2011產業資訊管理學術暨新興科技實務研討會，輔仁大學，Nov. 19, 2011, pp. 313-324.
.	王淑卿、王順生*、嚴國慶*、陳柏煒，“在雲端環境下以服務導向架構提升資料儲存的效能,” 2011年民生電子研討會，國立台中技術學院，Nov. 11, 2011, pp. 1062-1072.
.	王淑卿、王順生*、嚴國慶*、蔡思豪，“以單一登入驗證取得多項服務協定提升雲端運算的服務品質,”2011年民生電子研討會，國立台中技術學院，Nov. 11, 2100, pp. 1090-1098.
.	嚴國慶、王淑卿*、王順生*、姜志承，“以三階段分群法經營電子市集上之顧客關係管理,”2011年民生電子研討會，國立台中技術學院，Nov. 11, 2011, pp. 996-1008.
.	S.C. Wang, K.Q. Yan*, S.S. Wang*, C.C. Chian, “The e-market Platform-based Customer Relationship Management System Usage to Reduce the Business Cost,” 2011年第10屆管理新思維學術研討會，國立台灣科技大學，Nov. 4, 2011, pp.40.
.	S.S. Wang, S.C. Wang*, K.Q. Yan*, Y.L. Lin, “The Autonomous Business Model of Cloud Market,” 第六屆智慧生活科技研討會，國立勤益科技大學，June 3, 2011, pp. 21.
.	王淑卿、王順生*、嚴國慶*、蔡思豪，“以兩階段認證安全機制提升雲端運算環境的安全性，”第六屆智慧生活科技研討會，國立勤益科技大學，June 3, 2011, pp. 2314-2324 (Best paper award).
.	王淑卿、嚴國慶*、王順生*、陳慶維，“建置以負載平衡為導向的雲端運算環境，”第22屆國際資訊管理學術研討會，朝陽科技大學，May 21, 2011, pp. 219.
.	嚴國慶、王淑卿*、王順生*、林宜屏，“結合RFM分析技術及SOM進行數位化行銷之顧客價值市場區隔，”第22屆國際資訊管理學術研討會，朝陽科技大學，May 21, 2011, pp.139.
.	王淑卿、江茂綸、嚴國慶*、王順生*、蔡思豪，“以模糊函數建構動態安全風險管理模式提升雲端運算環境的安全性，”第22屆國際資訊管理學術研討會，朝陽科技大學，May 21, 2011, pp. 44.
.	王淑卿、嚴國慶*、王順生*、林宜屏，“資訊科技在數位化行銷之應用，”第十二屆管理學域學術研討會，朝陽科技大學，May 3, 2011, pp. 167.
.	嚴國慶、王淑卿*、王順生*、林雨農，“雲端市集中顧客需求之自動探索，”第十二屆管理學域學術研討會，朝陽科技大學，May 3, 2011, pp. 59.
.	王順生、王淑卿*、嚴國慶*、姜志承，“以架構於電子市集的顧客關係管理系統提升企業經營的競爭優勢，”第十二屆管理學域學術研討會，朝陽科技大學，May 3, 2011, pp. 127.
.	嚴國慶、王淑卿*、王順生、林宜屏，“應用資料探勘技術提供企業數位化行銷策略之制定,” 2011年資訊科技國際研討會，朝陽科技大學，April 22-23, 2011, 62.
.	S.C. Wang、K.Q. Yan、S.S. Wang、C.W. Chen, “Load Balance Enhancement in a Hierarchical Cloud Computing Environment,” 2011年資訊科技國際研討會，朝陽科技大學，April 22-23, 2011, pp. 93.
.	S.C. Wang、M.L. Chiang、K.Q. Yan、S.S. Wang、S.H. Tsai, “A New Group Key Authentication Protocol in an Insecure Cloud Computing Environment,” 2011年資訊科技國際研討會，朝陽科技大學，April 22-23, 2011, 127.
.	王順生、王淑卿*、嚴國慶、林雨農，“整合商業模式層級及訂閱機制建構雲端運算環境下之雲端市集,” 2011年資訊科技國際研討會，朝陽科技大學，April 22-23, 2011, 86..
.	嚴國慶、王淑卿*、王順生、姜志承，“以三層式顧客關係管理系統架構提昇企業經營利基,” 2011年資訊科技國際研討會，朝陽科技大學，April 22-23, 2011, pp. 166.
.	王淑卿、王順生、嚴國慶*、江茂綸、蔡思豪，“以基於加密的認證與金鑰協議提升雲端運算環境資訊通訊及認證的安全，” 2011電子商務與數位生活研討會（ECDL2011），實踐大學, March 4, 2011, pp.503-512.
.	王淑卿、嚴國慶*、王順生、林宜屏，“以顧客價值分析與關聯規則探勘技術提昇企業數位化行銷之效益，” 2011電子商務與數位生活研討會（ECDL2011），實踐大學, March 4, 2011, pp. 533-542.
.	王淑卿、江茂綸、嚴國慶*、王順生、蔡思豪，“以混和式動態凱薩加密系統提升雲端運算環境中資料儲存的安全，”第十六屆資訊管理暨實務研討會，雲林科技大學, Dec. 11, 2010, pp.387-399.
.	王淑卿、嚴國慶*、王順生、陳慶維，“在雲端運算環境中以三階段排程機制提升系統服務效能，”第十六屆資訊管理暨實務研討會，雲林科技大學, Dec. 11, 2010, pp. 2265-2281.
.	王淑卿、王順生、嚴國慶*、蔡思豪，“以動態式凱薩密碼系統提升雲端運算環境中資訊通訊的安全，” 2010民生電子研討會，南台科技大學，Nov. 5, 2010, pp. 802-808.
.	王淑卿、王順生、嚴國慶*、林宜屏，“行銷組合在數位化行銷架構下之新思維，” 2010民生電子研討會，南台科技大學，Nov. 5, 2010, pp. 985-991.
.	王淑卿、王順生、嚴國慶*、陳慶維，“在雲端運算環境中以混合排程機制提昇系統服務效能,” TANET 2010台灣網際網路研討會，國立台南大學，Oct. 27-29, 2010, pp. 98.
.	王淑卿、王順生、嚴國慶*、林宜屏，“以兩階段數位化行銷法提升企業經營之競爭優勢,”2010資訊管理與傳播科技研討會，高苑科技大學，Oct. 27, 2010, pp. 280-289.
.	王淑卿、王順生、嚴國慶*、林宜屏，“以市場區隔提供企業數位行銷組合策略之制定,” 第十一屆電子化企業經營管理理論暨實務研討會，大葉大學，Oct. 29, 2010.
.	S.C. Wang, K.Q. Yan*, S.S. Wang and C.P. Huang, “Reaching Fast Agreement in a Dual Fallible Cloud Computing Environment,” 第十五屆行動計算研討會暨國科會行動計算研究計畫研究成果發表會，台中教育大學，May 28, 2010, pp.46 (Best paper award).
.	K.Q. Yan, S.C. Wang*, S.S. Wang and C.W. Chen, “Enhancing the Performance of Resources Allocation by Three-Phase Scheduling in a Cloud Computing Environment,” 第十五屆行動計算研討會暨國科會行動計算研究計畫研究成果發表會，台中教育大學，May 28, 2010. pp.68.
.	王淑卿、王順生、嚴國慶*、林宜屏，“應用RFM資料分析技術進行數位化行銷顧客之價值分析,” 2010資訊管理學術與實務研討會學，景文科技大學，May 25, 2010, pp. 70-77.
.	M.L. Chiang, S.C. Wang*, K.Q. Yan, C.P. Huang and L.Y. Tseng, “The New Territory of Agreement with Fallible Processes in a Cloud Computing,”2010年資訊科技國際研討會，朝陽科技大學，April 23-24, 2010, pp. .
.	S.C. Wang, H.J. Lyu, K.Q. Yan*, M.L. Chiang, S.S. Wang, “Enhancing the Quality of Data Grid Service with Node Selection Mechanism,”2010年資訊科技國際研討會，朝陽科技大學，April 23-24, 2010, pp. .
.	嚴國慶、王淑卿*、王順生、曾莉雅、陳慶維，“以改良式Min-Min排程演算法 提供動態階層式雲端運算網路拓樸之負載平衡,”2010年資訊科技國際研討會，朝陽科技大學，April 23-24, 2010, pp. .
.	王淑卿、嚴國慶、 王順生、陳慶維，“以混合式排程演算法提昇階層式雲端運算網路拓樸之負載平衡,”2010數位教學暨資訊實務研討會，南台科技大學，March 31, 2010, pp.
.	王淑卿、嚴國慶、江茂綸、陳慶維，“在階層式雲端運算網路拓樸中以工作排程機制提昇系統資源配置之效能,”銘傳大學2010國際學術研討會，銘傳大學，March 12, 2010, pp. 120-130.
.	王淑卿、嚴國慶、王順生、陳慶維、江茂綸，“在三階層式雲端運算網路拓樸架構下負載平衡機制之研究，”2009資訊系統應用學術研討會,中國科技大學, Dec. 18, 2009.
.	王淑卿、嚴國慶、王順生、林宜屏，“網路電話之組合式數位化行銷-以Skype網路電話為例,” 2009第三屆『創新+科技+生活+經濟+？』，致理技術學院 商務科技管理系，Dec. 18, 2009, pp.137-195.
.	王淑卿、呂彗君、嚴國慶、王順生、江茂綸，“在分群導向資料網格環境下以I/O暫存機制提昇資料儲存的服務品質,” 2009電子化企業實務研討暨論文發表會，Dec. 17, 2009, pp.184-200.
.	嚴國慶、王淑卿、江茂綸、林宜屏、王順生，“網路電話行銷之新思維-以Skype網路電話為例,” 2009電子化企業實務研討暨論文發表會，Dec. 17, 2009, pp.85-97.
.	S.C. Wang, S.S. Wang, K.Q. Yan and C.P. Huang, “The Optimal Generalized Agreement under Cloud Computing,” National Symposium on Telecommunicatins, 國立高雄大學, Dec. 11~12, 2009, pp. 1155-1159.
.	S.C. Wang, S.S. Wang, K.Q. Yan and C.P. Huang, “The Generalized Consensus Problem in a Cloud Computing Environment,” 2009 National Computer Symposium, National Taipei University, Taiwan, Nov. 27-28, 2009, pp. 83-94.
.	王淑卿、呂彗君、嚴國慶,”在以分群為基礎的資料網格環境下儲存節點選擇之研究,” 第十四屆人工智慧與應用研討會，朝陽科技大學，Oct. 30-31, 2009, pp.39.
.	K.Q. Yan, S.C. Wang, S.S. Wang and C.P. Huang, “Hybrid Consensus of Cloud Computing,” 第十四屆人工智慧與應用研討會，朝陽科技大學，Oct. 30-31, 2009, pp.111.
.	S.C. Wang, K.Q. Yan and C.P. Huang, “The Optimal Solution of Dual Failure Consensus in a Cloud Computing Environment,”臺灣網際網路研討會暨全球IPv6高峰會議（TANET 2009 & Global IPv6 Summit in Taiwan），國立彰化師範大學，Oct. 28-30, 2009, pp. 1178.
.	王淑卿、呂彗君、嚴國慶、王順生,”在分群導向資料網格環境下儲存節點選擇之研究,”科技與管理研討會，台北科技大學，Sept. 25, 2009, p.1.
.	S.C. Wang, K.Q. Yan, S.S. Wang and C.P. Huang, “New Application of Reliable Agreement Underlying an Unsecured Cloud Computing Environment” 2009數位學習創新與應用學術研討會，國立高雄師範大學，June 19, 2009, pp. 657-663.
.	王淑卿、王順生、嚴國慶、賴怡君，“在串流控制通訊協定下以選擇性重傳機制提昇MEPG4服務品質，”2009資通技術管理與應用研討會，樹德科技大學，June 12, 2009, pp. 108.
.	K.Q. Yan, S.C. Wang, S.S. Wang and C.P. Huang, “Reaching Consensus with Malicious Faulty Components in a Cloud Computing Environment,” 2009資通技術管理與應用研討會，樹德科技大學，June 12, 2009, pp. 107.
.	嚴國慶、王順生、王淑卿、劉佳瑋，“以混合式入侵偵測系統提昇叢集式無線感測網路之通訊安全,”第四屆智慧生活科技研討會，勤益科技大學，June 5, 2009, pp. 1709-1716.
.	S.C. Wang, S.S. Wang, K.Q. Yan and C.P. Huang, “An Optimal Solution of Consensus in a Cloud Computing Environment,” 第四屆智慧生活科技研討會，勤益科技大學，June 5, 2009, pp. 1717-1724.
.	王淑卿、呂彗君、嚴國慶、許廷憶,”分群為基礎建置高存取效能之資料網格環境,” 第四屆智慧生活科技研討會，勤益科技大學，June 5, 2009, pp. 1701-1708.
.	S.C. Wang, K.Q. Yan, S.S. Wang and C.P. Huang, “Towards Malicious Consensus in a Cloud Computing Environment,” 2009年數位生活科技研討會，成功大學，May 28-29, 2009, pp. 58.
.	王淑卿、呂彗君、嚴國慶, “在資料網格環境下以分群機制提升資料儲存的效能,” 2009第三屆管理學術與實務研討會，僑光技術學院，April 24, 2009, pp. 12.
.	王淑卿、呂彗君、嚴國慶, “在資料網格環境下以服務導向架構提升資料儲存的效能,” 2009年資訊科技國際研討會，朝陽科技大學，April 24, 2009, pp.24.
.	S.C. Wang, K.Q. Yan, S.S. Wang and C.P. Huang, “Consensus under Cloud Computing Environment within Malicious Faulty Transmission Media,” 2009第四屆數位教學暨資訊實務研討會(2009EITS), 南台科技大學，April 1, 2009, pp. 27.
.	S.C. Wang, K.Q. Yan, S.S. Wang and C.P. Huang, “Achieving Consensus in a Dual Fallible Cloud Computing Environment，” 2009電子商務與數位生活研討會，實踐大學，March 14, 2009, pp. 775-788.
.	K.Q. Yan, S.C. Wang and C.W. Liu, “Hybrid Intrusion Detection System in Cluster-based Wireless Sensor Networks,” 2008民生電子研討會，景文科技大學，Dec. 5, 2008, pp.172-179.
.	王淑卿、梁席華、嚴國慶，“以分群機制提昇WiMAX網路傳輸的穩定性,” 2008民生電子研討會，景文科技大學，Dec. 5, 2008, pp. 597-604.
.	王淑卿、嚴國慶、王朝宏，“Using Collision Avoidance and Priority-based Scheduler to Improve the Bandwidth Utilization of WiMax，” 2008年資訊管理及應用國際研討會，育達商業技術學院，June 6, 2008.
.	嚴國慶、王淑卿、賴怡君，“Using Examine of Packet Loss and Disperse Degree of Packet Loss to Promote the QoS of Multimedia，” 2008年資訊管理及應用國際研討會，育達商業技術學院，June 6, 2008.
.	嚴國慶、王順生、王淑卿、劉佳瑋，“叢集式無線感測網路下入侵偵測之研究，” 第19屆國際資訊管理學術研討會，國立暨南國際大學，May 16~17, 2008.
.	王淑卿、嚴國慶、王朝宏、陳昱東，“以頻道分配機制提昇WiMax無線寬頻網路的效能，”第九屆管理學域學術研討會，朝陽科技大學，May 6, 2008, pp. A-53-A-68.
.	王淑卿、嚴國慶、王順生、劉佳瑋，“叢集式無線感測網路下混合式入侵偵測系統之研究，”第九屆管理學域學術研討會，朝陽科技大學，May 6, 2008, A-25-A-39.
.	嚴國慶、王淑卿、宋淑瑛、陳昱東，“以動態需求屋進行企業資源配置最佳化之研究，”第九屆管理學域學術研討會，朝陽科技大學，May 6, 2008, pp. A-1-A-10.
.	王順生、王淑卿、嚴國慶、賴怡君，“以SCTP提昇行動多媒體服務品質之研究，”第九屆管理學域學術研討會，朝陽科技大學，May 6, 2008, B-15-B-28.
.	S.C. Wang、C.S. Shiao、K.Q. Yan、S.S. Wang，“A Security Routing Mechanism in a Hierarchical Wireless Sensor Network,”第四屆資訊管理學術暨專案管理實務國際研討會，開南大學，May 3, 2008.
.	王淑卿、王順生、嚴國慶、陳秀芳，“在點對點計算環境中以工作排程機制提昇系統資源配置之效能,” 第四屆資訊管理學術暨專案管理實務國際研討會，開南大學，May 3, 2008.
.	K.Q. Yan、S.C. Wang、S.S. Wang、Y.P. Tung，“The Framework for Cluster Manager Election and Clustering Mechanism in Heterogeneous Wireless Sensor Networks,”第四屆資訊管理學術暨專案管理實務國際研討會，開南大學，May 3, 2008.
.	王淑卿、梁席華、嚴國慶、陳昱東，“以分群機制提昇WiMAX網路之效能，”2008資訊科技國際研討會，朝陽科技大學，April 25~26, 2008，pp. 51.
.	嚴國慶、王淑卿、王順生、劉佳瑋，“應用在無線感測網路上的智慧型混合式入侵偵測系統，”2008資訊科技國際研討會，朝陽科技大學，April 25~26, 2008，pp. 145.
.	王淑卿、王順生、嚴國慶、王朝宏，“利用混合式排程機制提升WiMax頻寬之使用率，”2008資訊科技國際研討會，朝陽科技大學，April 25~26, 2008，pp. 52.
.	嚴國慶、王淑卿、董育萍、陳昱東，“異質性無線感測網路中群組管理者選派及分群機制之建立，”2008資訊科技國際研討會，朝陽科技大學，April 25~26, 2008，pp. 48.
.	王淑卿、梁席華、嚴國慶、王順生，“以Hypercube拓樸改善叢集式WiMAX之通訊品質,” 2008第四屆網際網路暨通訊科技研討會，聖約翰科技大學，April 16, 2008, pp. 111-116.
.	嚴國慶、王淑卿、楊仁杰、王順生，“An Ontology-Based Semantic-Query Assets Management System,” 2007中華民國科技管理學會年會暨論文研討會，逢甲大學，Dec. 14-15, 2007.
.	王淑卿、蕭正三、嚴國慶、王順生，“以TTCB建立據安全性之無線感測網路拓樸，”2007資訊教育與科技應用研討會，修平技術學院，Nov. 6, 2007, pp. 41.
.	嚴國慶、王淑卿、陳秀芳、王順生，“以混合式負載平衡策略提昇三階層式點對點網路拓樸之執行效能，”TANET 2007 網際網路研討會, 台灣大學, Oct. 22-24, 2007.
.	王淑卿、嚴國慶、董育萍、王順生，“穩定分群式無線感測網路負載的監控機制,” The 3rd Workshop on Wireless, Ad Hoc, and Sensor Networks (WASN2007), 淡江大學，Sept. 6-7, 2007, pp. 67-76.
.	S. C. Wang, K. Q. Yan, and Y.P. Lin, “Agreement under Wormhole Network within Dual Faulty Buffers,” 2007資訊管理暨商務科技研討會 (IMCT2007), 環球技術學院，May 4, 2007.
.	王淑卿、嚴國慶、林翠婷、潘信宏、羅有隆，“在隨意式無線網路環境中以重心分群法提供穩定之服務，” 2007年資訊科技國際研討會，朝陽科技大學，April 28, 2007.
.	王淑卿、蕭正三、嚴國慶，“以三階段穩定拓樸機制改善動態無線感測網路之穩定性,” 2007年資訊科技國際研討會，朝陽科技大學，April 28, 2007.
.	嚴國慶、王淑卿、董育萍，“以備援管理者及負載偵測機制維護分群無線感測網路之效能,” 2007年資訊科技國際研討會，朝陽科技大學，April 28, 2007.
.	嚴國慶、王淑卿、陳秀芳，“以改良式Min-Min排程演算法提昇三階層式點對點網路拓樸之負載平衡,” 2007年資訊科技國際研討會，朝陽科技大學，April 28, 2007.
.	S.C. Wang, S.C. Yang, K.Q. Yan, “Generalized Agreement under Dual Fallible Scale Free Network,” 第十三屆行動計算研討會暨國科會行動計算研究計畫研究成果發表會，大葉大學，April 20, 2007.
.	K. Q. Yan, S. C. Wang, and Y.P. Lin, “Agreement under Wormhole Network within Arbitrary Faulty Buffer,” 第十三屆行動計算研討會暨國科會行動計算研究計畫研究成果發表會，大葉大學，April 20, 2007.
.	嚴國慶、王淑卿、陳秀芳，“以混合式排程法提供多階層式點對點網路拓樸之負載平衡,” 2007國際學術研討會，銘傳大學，March 23, 2007.
.	王淑卿、蕭正三、嚴國慶，“以動態調整機率模型提供穩定之無線感測網路拓樸,” 2007國際學術研討會，銘傳大學，March 23, 2007.
.	王淑卿、嚴國慶、董育萍，“階層式無線感測網路中群組管理者選派及分群機制之建立,” 2007國際學術研討會，銘傳大學，March 23, 2007.
.	王淑卿、蕭正三、嚴國慶，“支援無線感測網路穩定通訊的拓樸協定,” 2007電子商務與數位生活（ECDL2007）研討會, March 17, 2007, 實踐大學.
.	王淑卿、嚴國慶、董育萍，“無線感測網路中群組管理者選派及分群機制之建立,” 2007電子商務與數位生活（ECDL2007）研討會, March 17, 2007, 實踐大學.
.	嚴國慶、王淑卿、陳秀芳，“結合重心及能力函數分群法提供多階層點對點系統穩定之服務,” 2007電子商務與數位生活（ECDL2007）研討會, March 17, 2007, 實踐大學.
.	K. Q. Yan, S. C. Wang, and Y.F. Tsou, “A New Territory of Malicious Agreement in a Hierarchical Clustering Mobile Ad Hoc Network,” 第十二屆資訊管理暨實務研討會, December 9, 2006, 虎尾科技大學, pp. 110.
.	S. C. Wang, K. Q. Yan, and Y.P. Lin, “The New Territory of Malicious Wormhole Agreement,” 第十二屆資訊管理暨實務研討會, December 9, 2006, 虎尾科技大學, pp. 131.
.	S.C. Wang, S.C. Yang, K.Q. Yan, “Dual Fallible Consensus in a Scale Free,” TANET 2006台灣區網際網路研討會, 國立花蓮教育大學，November 1-3, 2006.
.	K.Q. Yan, S.C. Wang, Y.F. Tsou, “Revisit Consensus in a Dual Fallible Clustered-MANET,” TANET 2006台灣區網際網路研討會, 國立花蓮教育大學，November 1-3, 2006.
.	S.C. Wang. K.Q. Yan, G.Y. Zheng, “Towards Dual Fallible Byzantine Agreement in Virtual Subnet Network,” 2006年全球管理新環境國際學術研討會, 暨南大學，September 21, 2006.
.	S.C. Wang, K.Q. Yan, Y.P. Lin, “Consensus with Dual Fallible Link on a Wormhole Network,” 2006資通技術管理與應用會議，樹德科技大學，Jun 26, 2006.
.	S.C. Wang. K.Q. Yan, G.Y. Zheng, “The New Territory of Fallible Virtual Subnet Consensus,” 第七屆網際網路應用與發展學術研討會，遠東技術學院，June 9, 2006.
.	嚴國慶、王淑卿、楊士慶，“不穩定無尺度網路合議問題之探討,” 第七屆網際網路應用與發展學術研討會，遠東技術學院，June 9, 2006.
.	嚴國慶、王淑卿、楊仁杰，“應用本體論提昇資產管理系統之效能,” 2006資訊管理國際研討會，育達商業技術學院，June 2, 2006.
.	S.C. Wang. K.Q. Yan, G.Y. Zheng, “Revisit Consensus with Hybrid Fallible Virtual Subnet of Mobile Ad Hoc Network,” 2006資訊管理國際研討會，育達商業技術學院，June 2, 2006.
.	嚴國慶、王淑卿、楊仁杰，“以本體論建置快速查詢效能之資產管理系統,” 2006數位生活科技研討會，成功大學，June 2, 2006.
.	嚴國慶、王淑卿、陳德聖，“在分散式網格環境中有效資源管理之研究,” 第十七屆國際資訊管理學術研討會，義守大學，May 9, 2006, pp. 1444-1451.
.	王淑卿、嚴國慶、楊士慶，“不穩定無尺度網路合議問題之探討,” 第十七屆國際資訊管理學術研討會，義守大學，May 9, 2006, pp. 223-230.
.	王淑卿、嚴國慶、林翠婷、潘信宏，“以群播資訊分享機制提升P2P傳輸效率，”2006第七屆電子化企業經營管理理論暨實務研討會，大葉大學，May 20, 2006, pp.59.
.	嚴國慶、王淑卿、陳德聖，“Bayes Based Satisfaction Model in Grid Environment,” 2006第七屆電子化企業經營管理理論暨實務研討會，大葉大學，May 20, 2006, pp.51.
.	嚴國慶、王淑卿、鄒永峰，“協議問題在行動隨意式網路架構下的突破性解法，”2006知識社群與數位學習研討會，中國文化大學，May 18, 2006, pp.24.
.	王淑卿、嚴國慶、陳德聖，“在網格環境中以三維貝氏納許均衡法提昇資源配置之效能，” 2006知識社群與數位學習研討會，中國文化大學，May 18, 2006, pp. 26.
.	K.Q. Yan, S.C. Wang, Y.P. Lin, “Consensus under Unreliable Wormhole Network,” 第二屆資訊管理學術暨專案管理實務研討會，開南管理學院，May 5, 2006，pp. 27.
.	王淑卿、嚴國慶、林翠婷、潘信宏，“結合群播技術與點對點資訊分享機制建置有效率之資料傳輸平台，”第二屆資訊管理學術暨專案管理實務研討會，開南管理學院，May 5, 2006，pp. 25.
.	王淑卿、嚴國慶、陳德聖，“Grid Resource Management by Using Three Dimensional Bayes Nash Equilibrium，”第二屆資訊管理學術暨專案管理實務研討會，開南管理學院，May 5, 2006，pp. 124.
.	王淑卿、嚴國慶、陳德聖，“在網格環境中以貝氏滿足度模型提供資源滿足度分析，” 2006 IDTIM數位科技與創新管理國際研討會，華梵大學，April 1, 2006，pp. 450-461.
.	K.Q. Yan, S.C. Wang, Y.P Lin, “The New Territory of Unreliable Wormhole Consensus,” 2006 International Conference of Digital Technology and Innovation Management，華梵大學，April 1, 2006，pp. 428-439.
.	S.C. Wang, K.Q. Yan, G.Y. Zheng, “Reaching Consensus underlying Fallible Virtual Subnet of Mobile Ad-Hoc Network,” 第12屆行動計算研討會暨國科會行動計算計畫研究成果發表會，逢甲大學，March 30, 2006，pp. 257-263.
.	王淑卿、嚴國慶、林翠婷、潘信宏，“隨意式網路管理者選派之新思維，”2006國際學術研討會，銘傳大學，March 18, 2006, pp. 18 (CD Version).
.	王淑卿、嚴國慶、潘信宏、林翠婷，“以重心分群法提供無線網路安全機制，”2005年網際空間：資安、犯罪與法律社會學術研究暨實務研討會，法務部調查局與中央警察大學，December 23, 2005, pp. 261-270.
.	嚴國慶、王淑卿、鐘子智，“結合XML與多媒體人機介面應用於行動教學課程之研究，”2005年教育資訊傳播與科技國際學術研討會，國立海洋大學，December 9-10, 2005，pp. 20-26.
.	嚴國慶、王淑卿、潘信宏、林翠婷，“在無基礎建設的行動商務環境中以重心分群法提供消費者穩定之服務，” 2005年電子商務經營管理研討會，逢甲大學，December 9, 2005，CD Version (pp. 24).
.	王淑卿、嚴國慶、張秋萍，“在網格環境中以價值函數達成負載平衡，”TANET台灣網際網路研討會，中興大學，October 26-28，2005，CD Version (pp. 18).
.	王淑卿、嚴國慶、張秋萍，“以混合式負載平衡策略提昇網格環境之執行效能，”2005 商管與資訊研討會，靜宜大學，September 29-30，2005，CD Version (pp. 54).
.	嚴國慶、王淑卿、張秋萍，“運用混合式負載平衡法提昇網格計算執行的效能，”主動式網路研討會(Active Networking Workshop 2005)，元智大學，September 2，2005，CD Version (pp. 12).
.	王淑卿、嚴國慶、黃禹翔，“The Study of High Coverage Fault Tolerant Routine Algorithm underlying Ad Hoc Mobile Network，”主動式網路研討會(Active Networking Workshop 2005)，元智大學，September 2，2005，CD Version (pp. 26).
.	王淑卿、嚴國慶、黃禹翔，“隨意式網路廣播風暴之預防，”2005年數位生活與網際網路科技研討會，成功大學，June 2-3，2005，CD Version (pp. 96).
.	王淑卿、嚴國慶、陳德聖，“以三維貝氏納許均衡法提昇網格資源使用率，”2005資訊管理國際研討會，育達商業技術學院，June 3，2005，CD Version (pp. 30).
.	嚴國慶、王淑卿、鐘子智，“結合語音辨識與多媒體介面應用於電子型錄之研究，”2005資訊管理國際研討會，育達商業技術學院，June 3，2005，CD Version (pp. 21).
.	王淑卿、嚴國慶、郭敏士，“以整合式無尺度網路容錯繞徑演算法提昇系統容錯能力，”2005資訊管理國際研討會，育達商業技術學院，June 3，2005，CD Version (pp. 51).
.	王淑卿、嚴國慶、張秋萍，“以價值函數尋找網格環境中有效率之節點集，”第十六屆國際資訊管理學術研討會，中華民國資訊管理學會(輔仁大學)，May 28，2005，CD Version (pp. 209).
.	嚴國慶、王淑卿、郭敏士，“有線與無線兼具之無尺度網路容錯繞徑機制之探討，”第十六屆國際資訊管理學術研討會，中華民國資訊管理學會(輔仁大學)，May 28，2005，CD Version (pp. 134).
.	王淑卿、嚴國慶、黃禹翔,”A Stable Localizable Boundary of Ad Hoc Mobile Network,” The 11-th Mobile Computing Workshop，長庚大學，March 31，2005，pp. 764-773.
.	王淑卿、嚴國慶、鐘子智，“結合語音辨識與網路多媒體技術建置友善的使用者介面，”中華企業資源規劃學會九十四年度年會暨ERP學術與實務研討會，中華企業資源規劃學會，January 15，2005，pp. 120-122 (CD version).
.	嚴國慶、王淑卿、黃正一，“結合工作流程管理與網路服務技術提供顧客服務之快速回應機制，”中華企業資源規劃學會九十四年度年會暨ERP學術與實務研討會，中華企業資源規劃學會，January 15，2005，pp. 52-53 (CD version).
.	嚴國慶、王淑卿、黃禹翔，“支援隨意式網路穩定性的網拓協定，”第十屆資訊管理暨實務研討會，台中技術學院，December 18，2004，CD Version(pp. 47).
.	王淑卿、嚴國慶、周雨韻，“以推理引擎架構蜂巢式階層管理選派機制，”第十屆資訊管理暨實務研討會，台中技術學院，December 18，2004，CD Version(pp. 46).
.	王淑卿、嚴國慶、郭敏士，“以無尺度網路繞徑演算法提昇企業資料安全性，” 2004智慧型知識經濟暨第二屆演算式計算應用，真理大學，December 4，2004，pp. 11-20.
.	嚴國慶、王淑卿、郭敏士，“利用資料複製及動態投票機制增加無尺度網路容錯能力，”第三屆工研院創新與科技管理研討會，工研院, September 11，2004，CD Version (121).
.	王淑卿、嚴國慶、周雨韻，“以電力能源為基礎的蜂巢式階層管理，”第十五屆國際資訊管理學術研討會，中原大學，May 29，2004，CD Version (pp. 4).
.	嚴國慶、王淑卿、周雨韻，“以行動代理人機制分散蜂巢式階層管理單一管理者工作量，”第五屆電子化企業經營管理理論暨實務研討會，大葉大學，May 22，2004，CD Version (pp. 37).
.	王淑卿、嚴國慶、周雨韻，“在無基礎建設的無線網路環境下以行動代理人機制提昇管理效能，”第三屆跨領域管理學術與實務研討會，東海大學，April 24，2004，Version (pp. 70).
.	王淑卿、嚴國慶、魏家惠，“具安全性之行動化顧客關係管理機制之研究，”2004電子商務與數位生活研討會，March 26-27，2004, pp. 884-898.
.	S.C. Wang, K.Q. Yan, and H.C. Hsieh, “Enhance the Correctness of Fault Detection By Using Back Propagation Network,” 2004 International Conference of Ming Chuan University, March 12，2004，CD Version (pp. 1).
.	王淑卿、嚴國慶、魏家惠，“以電子票券機制達成行動化顧客關係管理，”中華企業資源規劃學會2003年ERP學術與實務研討會，中央大學，January 10，2004, pp. 369-377.
.	王淑卿、嚴國慶、魏家惠，“以智慧型探勘技術建置具高效率與安全性的行動廣告推薦機制，”New Paradigms of Management, Academic Conference， 國立台灣科技大學，November 7，2003，CD Version.
.	K.Q. Yan, S.C. Wang, and G.T. Shy, “Make-to-Order Production Plan Decision Based on Data Mining,” 2003 International Conference on Technology and Management with Special Symposium on Advanced Interactive Systems, October 22-24，2003, pp. 387-396.
.	S.C. Wang, K.Q. Yan, H.C. Hsieh, “Reaching Consensus Underlying a Mobile Environment,” 2003 Digital Life and Internet Technology, 成功大學, September 18-19，2003，CD Version (pp. 63).
.	王淑卿、嚴國慶、魏家惠,”個人化行動廣告推薦機制，”2003產業電子化運籌管理學術暨實務(The 2003 International Conference on Electronic Business Management-Challenging 2008 Digital Taiwan)，逢甲大學，July 25，2003，CD Version (pp. 99-100).
.	王淑卿、嚴國慶、魏家惠,”結合案例式推理及基因演算法建置高效率和安全性的個人化行動廣告推薦機制，”14th International Conference on Information Management，中正大學，June 7-8，2003，pp. 639-646.
.	王淑卿、嚴國慶、鐘子智, “以群聚分析的技術探索市場區隔策略，"第四屆電子化企業經營管理理論暨實務研討會，大葉大學，2003 May，(CD version).
.	王淑卿、嚴國慶、魏家惠，“移動式顧客關係管理安全機制之研究"，in the proceeding of第四屆電子化企業經營管理理論暨實務研討會，大葉大學，2003 May，(CD version).
.	王淑卿、嚴國慶、鐘子智, “結合資料探勘模糊理論與企業經營知識探討動態定價策略"，in the proceeding of第四屆網際網路應用與發展學術研討會，遠東技術學院，2003 May，pp. 6-12.
.	王淑卿、嚴國慶、范雅慧、蔡君聖, “利用決策法則技術建構行銷人員推薦遴選之決策模式,” in the proceedings of 2003電子商務與數位生活研討會，台北大學資訊管理研究所暨實踐大學資訊管理學系，2003 April，pp.138-149.
.	王淑卿、嚴國慶、范雅慧、蔡君聖, “應用類神經網路的技術預測顧客消費需求，”in the proceedings of 2002年製商整合學術暨實務研討會，嶺東技術學院管理學院，2002 Dec. 4，pp.127-134.
.	王淑卿、嚴國慶、時繼程, “利用改良式圖形探勘關聯規則改善e 化企業之效能，”in the Proceedings of第三屆產業資訊管理學術暨新興科技實務研討會，輔仁大學資訊管理學系，2002 Nov， pp.13-23.
.	王淑卿、嚴國慶、蔡君聖、范雅慧, “以類神經網路與知識管理的手法提昇企業的競爭優勢，”2002新世紀、新知識、新思維---第二屆跨領域管理學術暨實務研討會，東海大學企業管理系，2002年11月23日，pp. 110(Abstract), (CD version).
.	S.C. Wang and M.L. Chiang, “Reaching Agreement With Artificial Neural Network In An Unknown Network Environment,” in the Proceedings of The Seventh Conference on Artificial Intelligence and Applications (TAAI2002), Nov. 2002, pp. 561-566.
.	王淑卿、江茂綸、鄭建富, “兩岸加入WTO對資訊產業的機會與威脅,” in 第六屆兩岸中華文化與經營管理研討會，武漢大學暨成功大學，2002 Jul, pp. F6-85-F6-93.
.	王淑卿、范雅慧、蔡君聖, “以類神經網路的技術提昇知識對組織的價值,” in 第六屆兩岸中華文化與經營管理研討會，武漢大學暨成功大學，2002 Jul, pp. C7-67-C7-74.
.	嚴國慶、王淑卿、范雅慧、蔡君聖, “以品質屋交錯探索顧客需求及企業經營策略，”in 2002年資訊管理國際研討會，育達商業技術學院資訊管理系所，2002 Jun，pp.145-152.
.	王淑卿、嚴國慶、林佩樺、林明德, “熵式文字分析法之電子回郵系統，”in 2002年資訊管理國際研討會，育達商業技術學院資訊管理系所，2002 Jun，pp.43-50.
.	王淑卿、嚴國慶、江茂綸, “Reaching Reliable Consensus by Using Cryptographic,” 2002年第六屆資訊管理學術暨警政資訊實務研討會，中央警察大學，2002年5月，pp. 395-404.
.	王淑卿、江茂綸，“The New Territory of Safe Communication，”第三屆網際網路應用與發展研討會，遠東技術學院，2002年5月，E06-1-E06-9.
.	王淑卿、嚴國慶、范雅慧，“知識管理的機制提升客戶服務中心的效能，”2002電子商務與數位生活研討會, 2002年3月23日, 實踐大學暨台灣電子商務學會，(CD version).
.	S. C. Wang, C.Y. Yang, and C.F. Cheng, “Consensus with Dual Link Failure Modes on a Multicasting Network,” e世紀的挑戰國際學術研討會, 2002年3月22日, 銘傳大學，pp. 289-299.
.	王淑卿、張寶儒，“以特徵值協助跨國性企業網路資訊擷取最適化之研究，”第七屆資訊管理暨實務研討會，景文技術學院, 2001年12月, (CD Version).
.	王淑卿、吳松融，“Rule-Based Customer Segmentation Strategy，”in the 2001 Conference on Technology and Management---Integration of Production and Commerce in e-Era, (CD Version), Oct. 2001.
.	嚴國慶、王淑卿、鄭建富，“以電子郵件為基礎之智慧型顧客關係管理系統，”第二屆網際網路應用與發展研討會, 2001年5月,遠東技術學院, pp. 58-65.
.	王淑卿、林佩樺，“Customer Oriented Intelligent Call Center，” in the Proceedings of Workshop on the 21st Century Digital Life and Internet Technologies, May 2001, Center for Research of E-life Digital Technology，(CD Version).
.	王淑卿、林佩樺，“提昇國防整體後勤支援顧客關係管理之智慧型客戶服務中心，”九十年度國防整體後勤支援年會暨研討會, 2001年5月, 國防大學中正理工學院, pp. 267-275.
.	王淑卿、吳松融，“全方位的顧客關係管理模式，”第二屆管理創新與實務研討會, 2001年4月, 真理大學, pp. 365-375.
.	嚴國慶、王淑卿、蔡君聖，“結合同步工程與智慧型搜尋引擎的動態性個人化行銷，”第二屆網站經營學術暨實務研討會, 2000.年12月, 中原大學, pp. 195-203.
.	王淑卿、許明風，“電子化商業經營策略之全方位解決方案，” (優良論文獎)，第二屆網站經營學術暨實務研討會, 2000.年12月, 中原大學, pp1-8.
.	嚴國慶、王淑卿、陳育純，“顧客導向式智慧型顧客關係管理機制”, 校園無線電子商務研討會，2000 年11月,樹德科技大學，pp. 17-24.
.	王淑卿、周雨韻，“動態經營策略系統之新領域”, 校園無線電子商務研討會，2000 年11月,樹德科技大學，pp. 9-16.
.	嚴國慶、王淑卿、蔡君聖，“以顧客為導向的智慧型商務搜尋引擎之研究，”第一屆網際網路應用與發展研討會, 2000.年10月, 遠東技術學院，pp. 5-21.
.	王淑卿、許明風，“個人化智慧型行銷策略之研究，”第一屆網際網路應用與發展研討會, 2000.年10月, 遠東技術學院，pp. 39-51.
.	王淑卿、許明風，“結合同步工程與模糊理論的動態性定價策略，”第二屆 (2000) 永續發展管理研討會, 2000年11月, 臺灣屏東科技大學, pp. 165-172.
.	王淑卿,曾莉雅, “模糊理論應用於顧客決策支援之研究,” in the Proceedings of 2000 Conference on Applications of Quality Management Technology for Twenty-First Century, 義守大學，2000 Jun., pp. 7-1~7-10.
.	王淑卿,曾莉雅, “流程管理技術應用於動態性行銷策略之研究,” 中山大學舉辦第十一屆全國資訊管理學術研討會，2000 May, (Abstract: pp.62), (CD Version).
.	S.C. Wang and S.H. Kao, “Multicasting Agreement on Dual Processor Failure Mode”, in the Proceedings of the 2000 workshop on Internet & Distributed Systems, 成功大學，2000 May, pp. 182-191.
.	王淑卿,許明風, “電子商務商品最適化之研究,” in the Proceedings of the First National Conference on the Commercial Modernization, 國立高雄科學技術學院, 2000 March, pp. 170-177.
.	王淑卿、曾莉雅, “類神經網路應用於非連鎖性商店之經營策略分析,” in the Proceedings of the 1999 National Computer Symposium, 淡江大學Taiwan, 1999, pp. B-209-B-213.
.	王淑卿、曾莉雅, “以類神經網路動態預測經營獨立店面之成功關鍵因素,” 第四屆 (1999) 人工智慧與應用研討會, 1999.年11月, 大葉大學，pp. 23-30.
.	王淑卿、曾莉雅, “品質屋應用於策略行銷分析之研究,” 第一屆 (1999) 永續發展管理研討會, 1999年10月, 臺灣屏東科技大學, pp. 564-572.